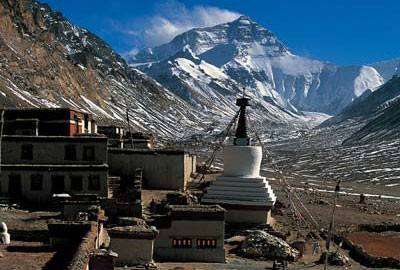 Our most delightful Simikot Kailash Guge Kingdom tour starts from Nepal and will end in Lhasa. 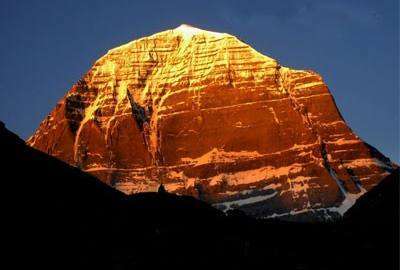 We trek from Simikot, west of Nepal to Holy Mount Kailash. After the Kailash Kora Trek, the tour continues to ancient kingdom Guge in western part of Tibet. Guge was an earliest kingdom in Western Tibet. The kingdom was centered in present-day Zanda County, within Ngari Prefecture of Tibet. At various points in history after 10th century A.D, the kingdom held sway over a vast area including south-eastern Zanskar, Upper Kinnaur, and Spiti valley either by conquest or as tributaries. The ruins of the former capital of Guge kingdom are located at Tsaparang in the Sutlej valley, not far from Mount Kailash and 1,200 miles (1,900 km) westwards from Lhasa. Mt. Kailash from there we head towards west Tibet to explore some of the wonders of the ancient Guge Kingdom Tibet. Several monasteries, houses, cave dwellings and stupas are nestled on the hill and its surrounding area. Best Tibetan murals, sculptures and stone inscriptions lies in this kingdom. White Palace, Red Palace, Yamantaka Chapel, Tara Chapel and Mandala Chapel are the major attractions of the Guge Kingdom. They are historically linke with Buddha, Shakyamuni, Songtsen Gampo, other kings and ministers. After the remarkable exploration of the Guge Kingdom we will drive to Lhasa; the capital of Tibet on an epic cross-Tibet jeep expedition visiting en route villages, monasteries, lakes and fantastic landscapes. We will stay two days to discover some of the interesting places in and around Lhasa.Day 01: Arrival at Tribhuwan International Airport Kathmandu (TIA), and transfer to the hotel. Day 01: Meet & greet at Tribhuwan International Airport Kathmandu (TIA), and transfer to the hotel. Day 03: Fly to Nepalgunj. Stay overnight in Nepalgunj. Day 04: Fly to Simikot in the morning and start trek to Dharapuri, O/N in tented camp. Day 05: Trek to Kermi, O/N in Tent. Day 06: Trek to Yalbang, Tented camp. Day 07: Trek to Tumkot Khola O/N in Tent. Day 09: Trek to Nara La Pass (4450 meter) and trek to Hilsa and trek to Sher, tented camp. Day 11: Exploration of Manasarovar Lake. Drive to Darchen and Tented Camp. Day 12: Start Mount Kailash trekking, Diraphuk, tented camp. Day 14: Trek and drive to Tholing O/N at Guest House. Day 15: Start visit Guge Kingdom: drive to Tsaparang O/N at Guest House. Day 18: Drive to Gyantse O/N in hotel. Day 22: Transfer to Gongkar airport. Day 01 :Meet & greet at Tribhuwan International Airport Kathmandu (TIA), and transfer to the hotel. Day 03 :Fly to Nepalgunj. Stay overnight in Nepalgunj. Day 04 :Fly to Simikot in the morning and start trek to Dharapuri, O/N in tented camp. Day 05 :Trek to Kermi, O/N in Tent. Day 06 :Trek to Yalbang, Tented camp. Day 07 :Trek to Tumkot Khola O/N in Tent. Day 09 :Trek to Nara La Pass (4450 meter) and trek to Hilsa and trek to Sher, tented camp. Day 11 :Exploration of Manasarovar Lake. Drive to Darchen and Tented Camp. Day 12 :Start Mount Kailash trekking, Diraphuk, tented camp. Day 14 :Trek and drive to Tholing O/N at Guest House. Day 15 :Start visit Guge Kingdom: drive to Tsaparang O/N at Guest House. Day 18 :Drive to Gyantse O/N in hotel. Day 22 :Transfer to Gongkar airport. All airport transfers in Nepal and Tibet. 2 Nights sharing twin/double deluxe room in 3 star categorized hotel in Kathmandu with buffet breakfast. 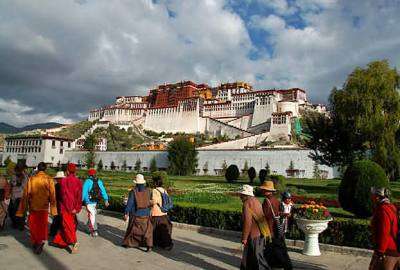 4 Nights sharing twin/double deluxe room in 3 star hotels in Lhasa & Gyantse with breakfast. 1 Nights deluxe room in Nepalgunj with breakfast on double occupancy basis. Camping gear: tents, kitchen utensil for Nepal section trek. All breakfast during the trip in Nepal and Tibet. Daily 3 times meal (Breakfast, Lunch and Dinner) during Nepal Section trek. All meals (Breakfast, Lunch and Dinner) during Kailash and Gege Kingdom section tour. Guide and helpers & porters to carry luggage. Private jeep/van vehicle for Tibet Tour. 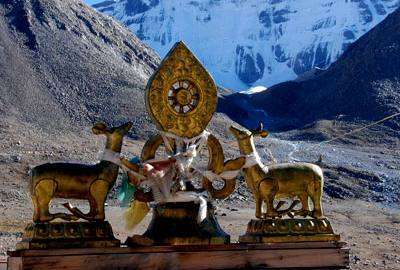 Licensed English speaking Tibetan guide during Tibet tour. Simikot restricted area trekking permits. TIMS Card. Helper or yak to carry luggage and tents during Kailash kora. Tented accommodation and breakfast during Tibet Tour. 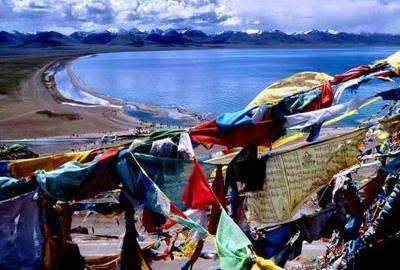 Tibet Visa to travel to Tibet. Lunch and dinner onward Saga to Lhasa in Tibet. Personal expenses, e.g. phone call, laundry, bar bills, photography charges, web usage. Advance deposit transfer fee to book the trip accordingly.